Food Online Ordering Systems has recently announced plans to attend the Food Service Tec (FSTec)2016 tradeshow and conference, taking place September 25-27 in Dallas, Texas. The FSTEC 2016 tradeshow is a networking and professional education event tailored to the food service technology market. Bringing together experts in fields ranging from POS technology to Human Resources and facility management, the FSTEC 2016 event is the largest event like it in the country. Expected to be in attendance at the event are representatives from big names in the retail and foodservice spaces, including 7-Eleven, Fox Restaurant Concepts, Chili’s Grill and Bar, McDonald’s and more. The biggest draw for this tradeshow isn’t only the networking opportunities; there will also be business seminars on subjects including Leadership, Personnel Management and Tip Management. The powerhouse line-up of speakers include 43rd President of the United States George W. Bush as well as top brass from Tier 1 & 2 brands such as Arbys, McDonalds, Chili’s and TGI Fridays. In what is being hailed as an industry first, Food Online Ordering Systems has done away with percentage-based commissions on online ordering and replaced it with a flat-fee, comprehensive solution that does more than just allow for internet ordering. 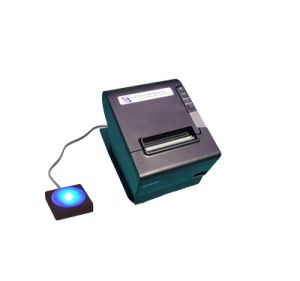 Key features of the system include integration with existing ordering processes, easy ticket printing featuring EPSON Omnilink Merchant Services printers, enhanced customer management tools and much, much more. Restaurant professionals in the food service industry know they need to provide online ordering for their patrons, but they may not know that they can do it inexpensively while also providing a better ordering experience for the customer. The FOLOS system can also be customized for specific restaurant need, Add to that a seamless order entry and fulfillment system that employees love, and the entire service offering from FOLOS becomes a must-have for both big and small chain owners and operators. Those interested in meeting with representatives from Food Online Ordering Systems at this year’s FSTEC 2016 tradeshow can arrange a meeting by visiting www.foodonlineorderingsystems.com and clicking on ‘Contact’.